Like many members of the American Jewish community, my current social media feeds are pretty much split down the middle in regards to passionate responses to the current Israeli- Palestinian conflict. 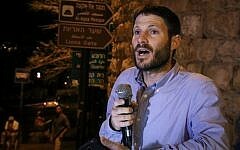 While many of my friends are deeply concerned about the sometimes now hourly rockets falling on Israeli cities, many of my more liberal and left-wing politically minded friends are posting accusatory articles that point to Israel as an aggressively violent state that dehumanizes the Palestinians on a daily basis. I too, was taught as a child that Jewish people are *supposed* to love and support the modern State of Israel, but that is not why I stand firm in my support of Israel today, nor why I think the modern Jewish community should support Israel, its right to exists as a sovereign country and its right to defend itself. As with many American Jews of my generation that came of age in the late 80’s and early 90’s, Israel was a primary focus of our Jewish education. My parents’ years in Zionist youth groups and camps in the 60’s led them to give me a Hebrew first name. As preschoolers we painted Israeli flags and marched around the school parking lot for Israeli Independence day parades and as elementary school students at my local modern Orthodox Jewish day school we watched the full 1986 VHS set of “Shalom Sesame”- Israeli Sesame Street in English, every single year. Modern Hebrew lessons were part of my daily life from Kindergarten through 12th grade, complete with Israeli teachers that were certainly native Hebrew speakers but often times lacked appropriate teaching credentials. HOWEVER, none of that ever did it for me. Yes, Israel was a place that I was supposed to love unconditionally and always show my unwavering support, but despite all the falafel lunches and Israeli dance lessons, it never really clicked. As a 5th grader I chose to join the Orthodox Union’s NCSY (National Conference of Synagogue Youth) rather than the modern Orthodox Bnai Akiva, both of which were active in my Orthodox neighborhood of Silver Spring, Maryland, mostly because I didn’t really connect with the Zionist piece and was really just looking for a social outlet. My attitude towards Israel completely shifted in Mr. Ben Jacobs Zionist History class in my 11th grade year at the Charles E. Smith Jewish Day School. With the luxury of a full year of study, we fully analyzed the situation of Jewish life in Europe in the 19th century, slowly read through Theodor Herzl’s Der Judenstaat, and wrote papers comparing the Zionist philosophies of Ahad Ha’am, Rav Kook, and A.D. Gordon. With the historical and sociological background firmly in place, I began to truly understand WHY my parents gave me a Hebrew first name and WHY I was forced to march in parking lot parades as a preschooler. If Jewish history has taught us nothing it is that the only place in the world where the Jewish people as a nation can be free from anti-Semitism and persecution is the State of Israel. American Jews are very quick to forget that there was a very clear reason that between 1890 and 1920 over 2 million Eastern European Jews got on boats and headed for an unknown new life in the United States. They left the only life that they had ever known because at that time, they had nothing to lose. Life in the Eastern European Jewish shtetl (village) was riddles with poverty, pogroms, and anti-Semitism. Life for the more bourgeois city Jews in the European cities of Budapest, Vienna, and Kiev may have appeared somewhat better, but the harsh reality of anti-Semitism was always present. My own personal commitment to Zionism and the necessity of a viable modern state of Israel was only further solidified by my later work on the ground with Jewish communities in Eastern Europe over the past fifteen years. How quick we are to forget that many times in Jewish history, the past TWO THOUSAND years of Jewish history, we have had literally nowhere to run when persecution came to our village. Additionally, let us not forget that worldwide anti-Semitism has only continued to increase since 9/11. Evidence has shown time and time again how quickly anti-Zionist or anti-Israel rallies quickly turn into “anti-Jewish” demonstrations. What better example do we have of this than the horrific scene in Paris this past week where Jewish pro-Israel supporters holding a vigil for the three murdered Israeli boys were held hostage in a synagogue while demonstrators around them chanted “death to the Jews.” It’s hard to not see how awfully similar this looks to Paris in the days of Theodor Herzl. When I think of the term “unconditional love” I think of the love that I feel for my three children. I think of when they misbehave and spill cereal all over the couch, I may be angry but I can never be too angry because they are mine. My connection and commitment to the modern State of Israel does include an element of love and emotion, but this connection is also based in a firm belief that a viable modern Jewish state is truly the only answer to “The Jewish Question” of nineteenth century Europe that still very much exists today. I am not a Zionist and pro-Israel activist because my Jewish preschool teachers and camp counselors told me that I *should* be one, I am a Zionist and pro-Israel activist because I firmly believe in the central importance of a solid Jewish state, in Israel, the historic Jewish homeland, for the safety and destiny of the Jewish people. Shoshanna Schechter-Shaffin is a highly energetic and engaging speaker, writer, career Jewish Educator and Jewish Professional. She is the Executive Director of ALEPH: Alliance for Jewish Renewal, served on the faculty of the Department of Religious Studies and Women's Studies at Randolph-Macon College and currently serves on the faculties of Humanities, Religious Studies, and Gender Studies at the University of Texas-El Paso. 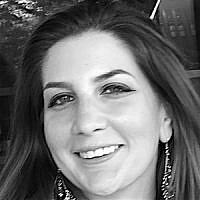 Originally from Silver Spring, Maryland, Shoshanna is a graduate of the Charles E. Smith Jewish Day School. She earned her Bachelors degree in Anthropology and Jewish Studies from the University of Maryland and a Masters Degree in Jewish Studies with a focus on Jewish Women’s and Gender Studies from the Jewish Theological Seminary where she will begin pursuing an Ed.D in Jewish Education this Fall.